At present, Pakistan ranks sixth among most populous countries; in spite of a long history of family planning programs since 1953. Yet it is difficult to claim any considerable reduction in the population growth rate. Total fertility rate is still high, contraceptive prevalence rate increasing slowly, and moreover there is a high unmet need, not responded by the existing health system, somehow. Commitment from the government quarters is merely limited to creating policy instruments, first in 2002 and later in 2010; yet to be used for a strategic and operational planning. Creating a separate portfolio of Population Welfare was the biggest political fiasco, perhaps….a ministry which remained neglected and nursling till its devolution in 2011. Since then, provinces have strived to define their respective road maps for the population programs and this ad hoc and hung state of affairs has brought us to the verge of the MDGs 2015. On the pitch of Islamic countries, Pakistan’s population growth rate surpasses that of Saudi Arabia, Egypt, Turkey, Indonesia, Iran and Bangladesh; and in the arena of regional countries such as India, Maldives, Sri Lanka, Nepal and Bhutan, Pakistan outdoes in the population growth momentum. Huge discrimination has been witnessed when it comes to allocating budget shares, which are too politically skewed. A recent example worth analyzing is the expense on metro bus projects of Lahore and Rawalpindi alone (Pk Rs. 53.6 billions) vis-à-vis the 2012-2013 budgetary share for the population welfare department of Punjab (Pk Rs. 3 billions). Both expenditures are realistically to meet the population needs; but the understanding of the whole issue seems blurred or lopsided in the minds of Punjab political leadership. Now what is needed? A health systems level research and analysis as to what worked and what did not. And for that WHO’s health systems strengthening building blocks model is worth employing. This model actually alludes to all the critical elements needed for ensuring a responsive service delivery; and also can potentially help identifying the bottlenecks and the possible solutions through stakeholders’ perspective, for improving family planning program. So for improving the service delivery, one must think of accessibility, acceptability, affordability and availability of the services. With regard to health workforce, there need to be adequate HR in numbers, appropriate skill mix, capacity to deliver quality services according to the standards, and of course a career structure to keep the personnel motivated for the cause. Moreover, an authentic and valid information system is imperative for rational decision making. There is need to re-organize the supply chain and logistic modalities involved in delivering the products i.e. contraceptives to the last mile. Financing the overall program, allocative efficiency and a balanced expenditure sheet is the foremost requisite for smooth operations, enhancing the standards and setting the benchmarks in family planning service delivery. Lastly, for ensuring good governance, there is no rocket science but genuine priority setting, better coordination, meaningful integration where possible, and an all-encompassing political commitment can actually help in reorienting the family planning program in Pakistan with new zeal and spirit. All building blocks are interrelated; therefore attention should be drawn to the actions and policies for improvement in all domains of health system. Family planning, birth spacing, pre-conception counselling, healthy timing and spacing of pregnancies, come what may, has to be re-modelled as a national cause for the social and economic uplift of the country, facing scores of other local, regional and global challenges. Empowering women can also contribute to family planning, Women deserve to have control over their reproductive lives. Women can determine population trends by deciding how many children to have and when to have them. There are women who would like to postpone their next pregnancy or stop childbearing altogether but are not empowered to use modern contraception. Having children too early in life, particularly before age 18, usually deprives young women of the opportunity to pursue other activities, such as schooling or employment, which are strong determinants of their empowerment. Dr. Babar must be commended for this excellent article. It is high time that Pakistan adopts a systems approach and tackle its population issue. The consequences of rapid population growth must be clearly understood by all decision makers as well as the politicians. At the time of the breakup of Pakistan in 1971, the then East Pakistan (now Bangladesh) was more populous than West Pakistan (now Pakistan). Pakistan surpassed the population of Bangladesh wiuthin two decades. If Bangladesh can do it, sure Pakistan can. A systems approach along with absolute political commitment must be there. I hope that policy makers in Pakistan seriously listen to the suggestions made by Dr. Babar Sheikh, perhaps the most illustrious health systems expert in the country. 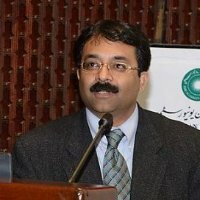 Dr. Babar Tasneem has rightly pointed out that unless we go systematically, family planning programme will not meet its goals.His recommendation that government should make a commitment is the key.. Countries who have succeeded in checking their population growth did it because their governments were committed. As far as models are concerned, Pakistan’s first model of male and female motivators going door to door was adopted by Indonesia and others, while Pakistan itself dropped it because of poor governance issues. CM Shahbaz Sharif has shown an excellent example of commitment in supporting the anti-Dengue campaign. Similar commitment to family planning can make all the difference. . The best plan is to know how to utilize each pair of hands for a bigger and larger goals. Useless to reduce pair of hands with the prevalent ways and means of a country’s direction. I agree with Dr. Sahab here, it has been a complete downfall in our health system since 2002 when population and health divisions were segregated. Everything else has only dwindled since then!